Afternoon - Mission Trippers leave for H.O.M.E. 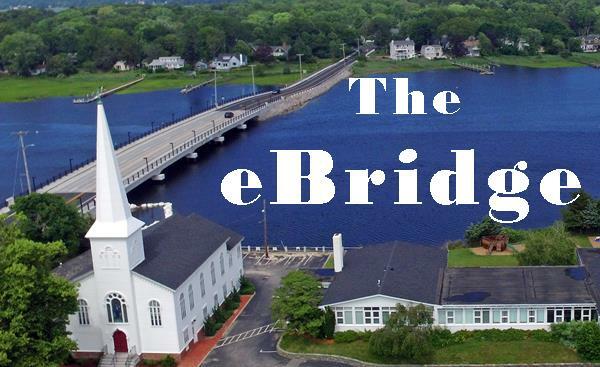 Be sure you get to see ALL of the eBridge. Some platforms only show part of it with a link to the remainder. Are your emails reaching us? 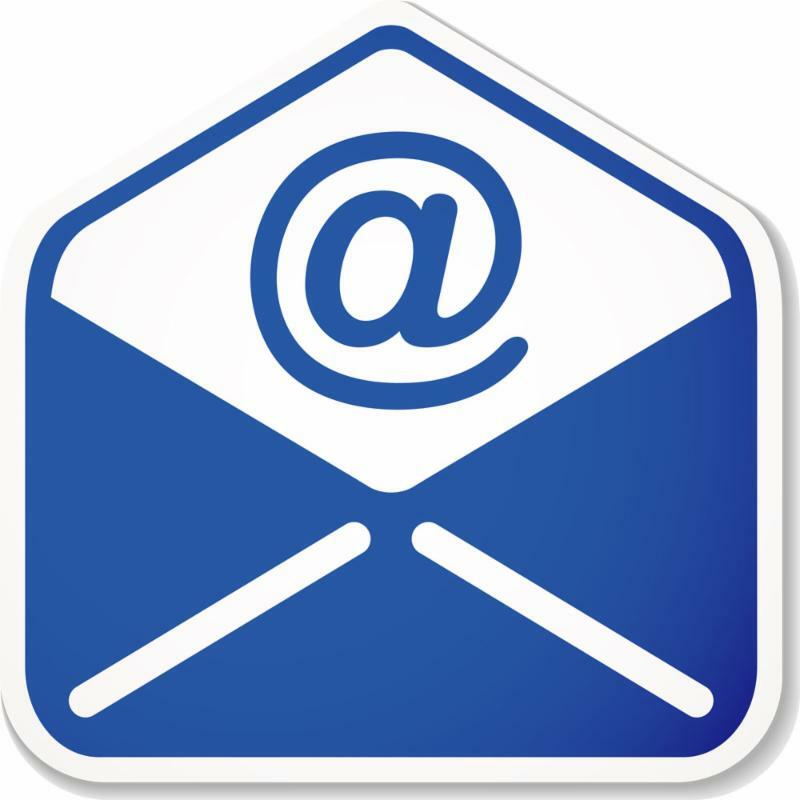 We now only receive emails sent to the following addresses: Dale dale@bccucc.org Brendan brendan@bccucc.org Christine office@bccucc.org Pat pat@bccucc.org Andrea andrea@bccucc.org. ﻿Thank you for making these changes to your email contacts/address books. TODAY - Thurs, April 11th! On Thursday afternoons during Lent (thru Apr 18) from 4 - 5 pm at The Coffee Depot. Led by Rev. Brendan Curran. Details. 10 am Worship Service with Lenten Lollapalooza during church school time. 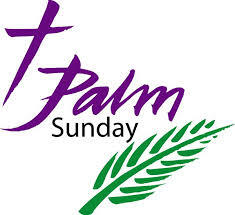 All are welcome to join us for a special worship service that will include the distribution of both eco-palms and straight palms, and a creative telling of Christ's Passion. During church school time, the children will go to Fellowship Hall for their Lenten Lollapalooza (see below). 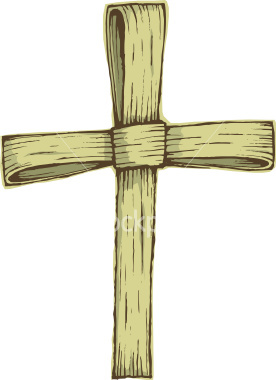 A Lenten Lollapalooza will take place during church school time on Palm Sunday, April 14th. The Church School children will have the opportunity to do a variety of crafts in Fellowship Hall including making pretzels and palm crosses. On Palm Sunday, April 14th we will be having our last mission trip fundraiser. All are encouraged to bring a baked item to church that can be sold and buy something that someone else made. Baked goods will be placed on a table in the foyer. Meet our friendly mission trip participants who will be tending the table. Buy yummy baked goods for Easter and support our church’s mission trip. The mission trip team thanks you! on Sunday, April 14th beginning at 11:15 am in the Library. 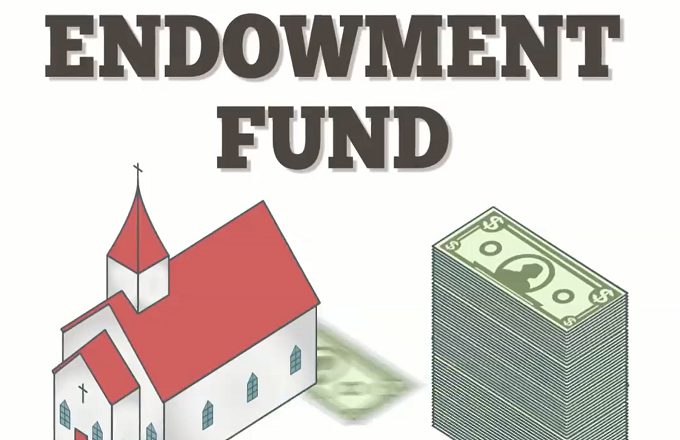 There will be a brief update on the status and significance of our Endowment funds, but mostly we want you in the conversation. Feedback and ideas will help us develop plans for the future. If you were unable to come on April 7th, this is another opportunity to come be a part of this important conversation. Childcare will be provided. We look forward to seeing you and hearing what you have to say. Support the Service/Mission Trip to H.O.M.E. - deadline is Sunday! A container is at the back of Fellowship Hall for the collection of items needed by H.O.M.E., where our youth are going on their MIssion/Service trip April 14-17. A "Wish List" has been given to us by the folks at H.O.M.E. - view the Wish List. Copies are also available from the table at the back of Fellowship Hall. Your gifts will be greatly appreciated. Our youth and chaperones will take the items with them when they go to H.O.M.E. from April 14-17. Deadline for donating items is Palm Sunday, April 14th when they leave for the Mission Trip! We are once again taking donations for our Chancel Fund. 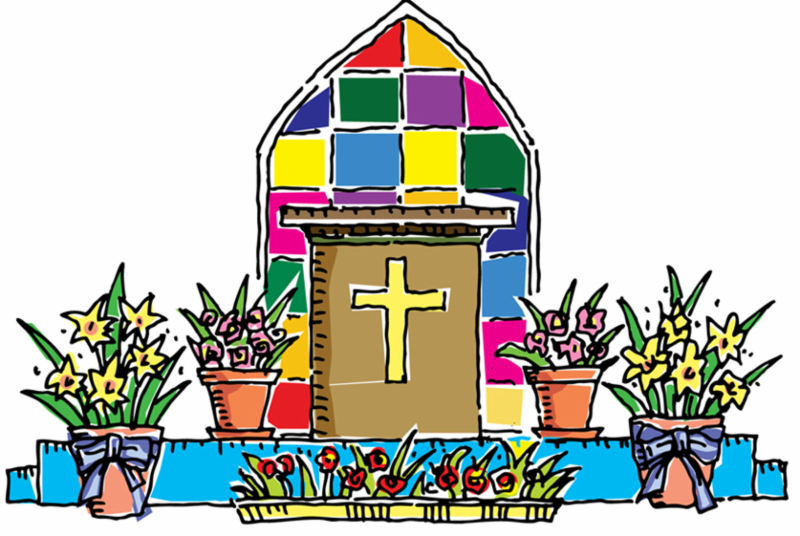 Money collected is used to pay for the flowers that decorate the sanctuary at Easter as well as for the plants delivered to our homebound, sick, and recently bereaved. Learn more about the Fund and download a donation form at this link. Deadline for donations is Monday, April 15th. Thank you. Holy Week Morning Devotional. Each weekday morning through Holy Week, Dale will lead a brief devotional service at 7:15 am. We will gather in the Library for these meetings. We will have a scripture lesson, short reflection, and time for prayer. You should be on the road by 7:30 or 7:45. All are welcome. 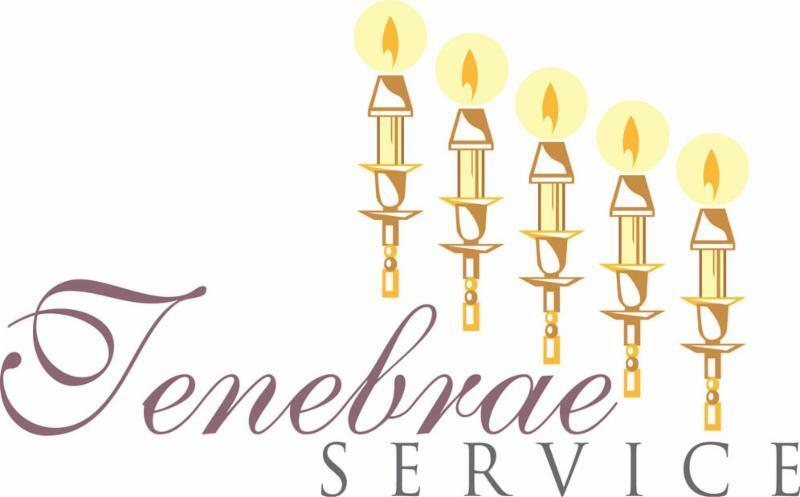 Service of Communion and Tenebrae - 7 pm in the sanctuary. All are invited to join the deacons and clergy as they celebrate communion then read the story of the Passion with the extinguishing of candles in the traditional Service of Tenebrae. This is a particularly meaninglul way to prepare for Good Friday and Easter. 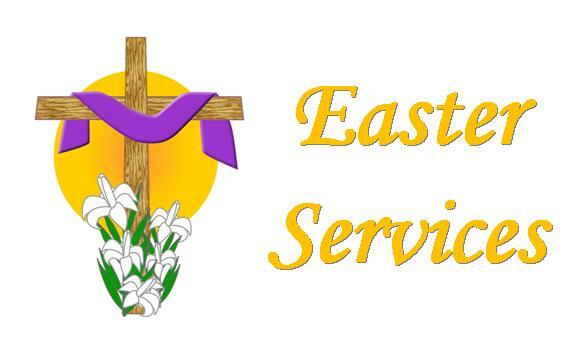 Ecumenical Easter Sunrise Service with Communion 5:45 am at Osamequin Point. All are welcome to attend this outdoor service held jointly with St. James Lutheran Church. Osamequin Point is located 1.1 miles north of the church on the Wampanoag Trail (Route 114). 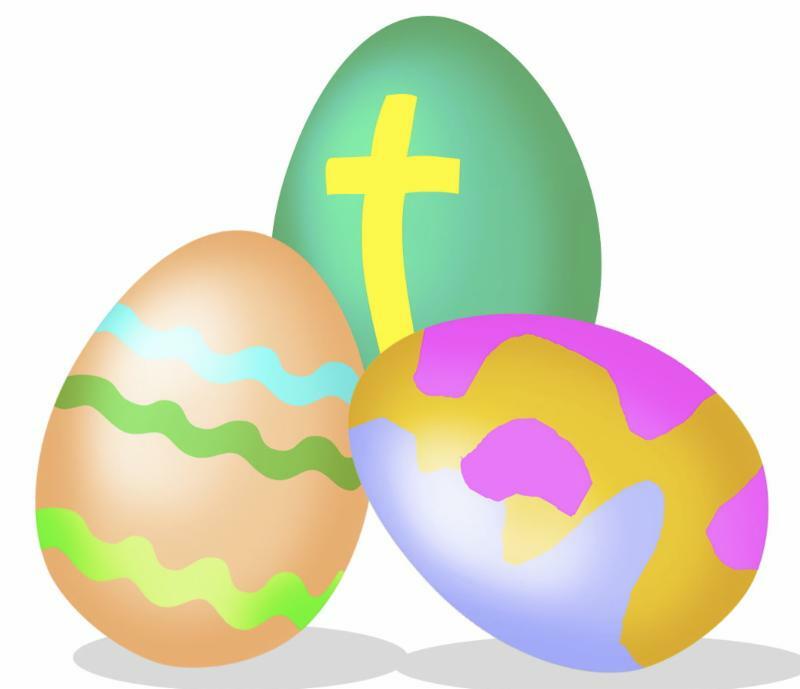 Easter Egg Hunt for elementary (and younger) aged children will take place at approx 10:15 am, between the two services. Coffee Hour for all will also be held between the two services. Rev. Brendan Curran leaves for the Mission Trip this Sunday afternoon, and will be out of the office Monday, April 15th thru Wednesday, April 17th. 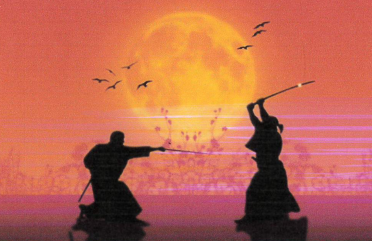 There is no Mindful Monday on April 15th or 22nd. It will resume on Monday, April 29th. Dear BCCUCC families and friends, we are planning for Jubilation Sunday which is the worship service when we celebrate the culmination of our church school year together. We need everyone’s help! This year, to celebrate how we as the church are, “one body with many parts,” we will be making a mandala during worship on May 19th. 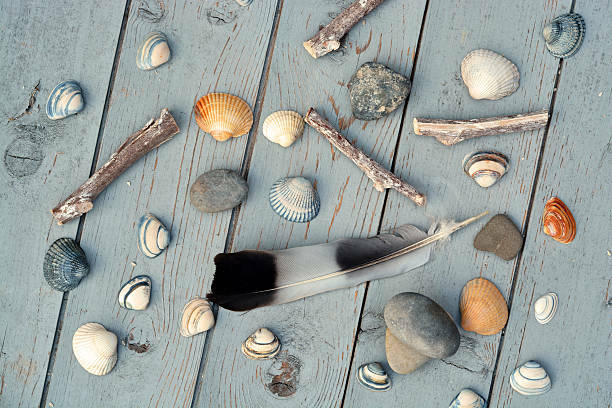 Between now and May 12th, we will be collecting sea shells, fake flowers, rocks, feathers, sticks/drift wood, and sea glass. We invite you to prayerfully seek out these items and bring them to church where there's a collection basket at the back of Fellowship Hall. Thank you for your help in making Jubilation Sunday a meaningful and exciting service! 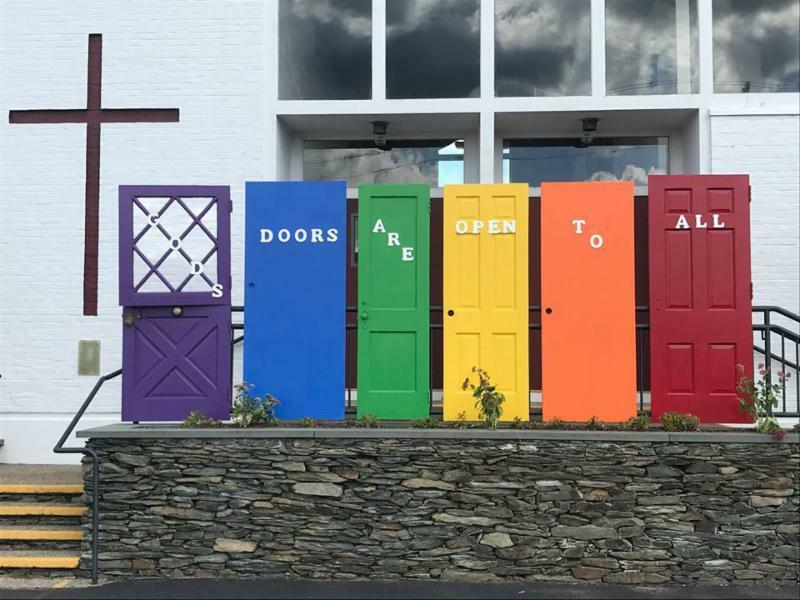 A huge thank you to church member Cindy Racinski who over the last couple of weeks has scraped and repainted two of our rainbow doors that were in need of attention. She also added solar lights so that they can be seen at night! Many thanks, Cindy, for all of your hard work. The doors are all looking great again! 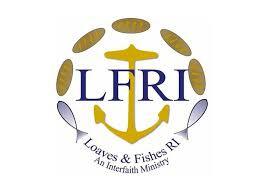 We will be taking out the Loaves and Fishes RI truck to Trinity Methodist Church, Emmanuel House and Crossroads in Providence on Wednesday, April 24th . Specific food and clothing items are needed – find out which from the online sign-up sheet at https://www.signupgenius.com/go/8050a4aacae2aa75-mobile3 . Please remember to indicate the quantity of a food item you are able to donate. Prep starts in the kitchen around 4:30 pm to prepare food and load the truck. All ages are welcome to help with food prep, but those going out on the truck must be at least age 16. For more information, questions, or if you are unable to sign up on line to donate items or help with prep etc, please contact Liz White (401-245-0285 or lizzyw2@aol.com ) or Phyllis Buckley (401-742-7320 or pbuckley6@cox.net ). Our annual Church Clean Up Day will be Saturday, April 27th from 9 am – 1 pm. Please plan to come help clean up the church grounds and tackle other projects needing attention. Volunteers of all abilities (skilled & unskilled) and ages are welcome, even if you can only be there for a short time. The Boy Scouts of Troop 6 will also be assisting. Sign up is appreciated - contact Larry Ashley at (508) 965-2699 or saltmarsh02@gmail.com to volunteer. Please bring work gloves and gardening tools if you have them. 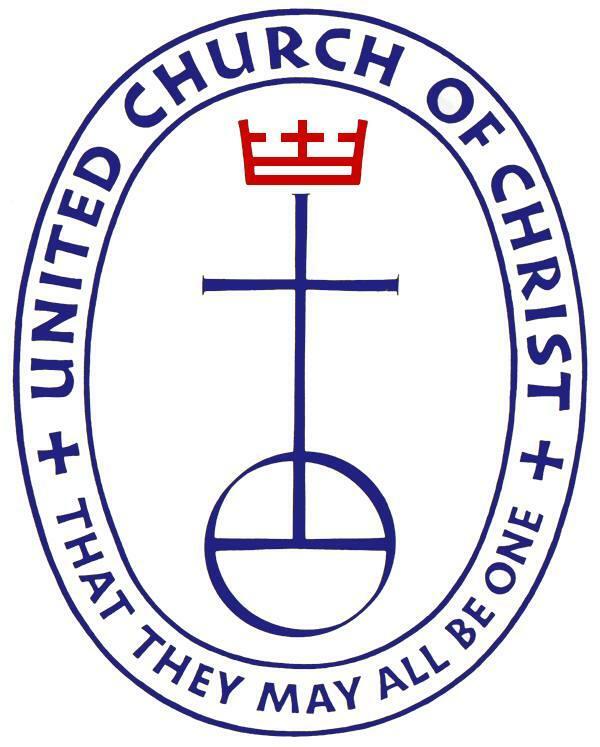 All are invited to attend the Annual Spring Meeting of the Rhode Island Conference of the United Church of Christ on Saturday, April 27th at Edgewood Congregational Church, 1788 Broad St, Cranston RI. 8:30 am Continental Breakfast. 9 am - Noon Worship, Meeting, Communion. Registration $10. Delegates and visitors (all are welcome) are reminded to register at this link where there are also more details. Long time church member, Nancy Martin, is going to be leaving Rhode Island at the end of April and moving to Michigan to live near her daughter and son-in-law. 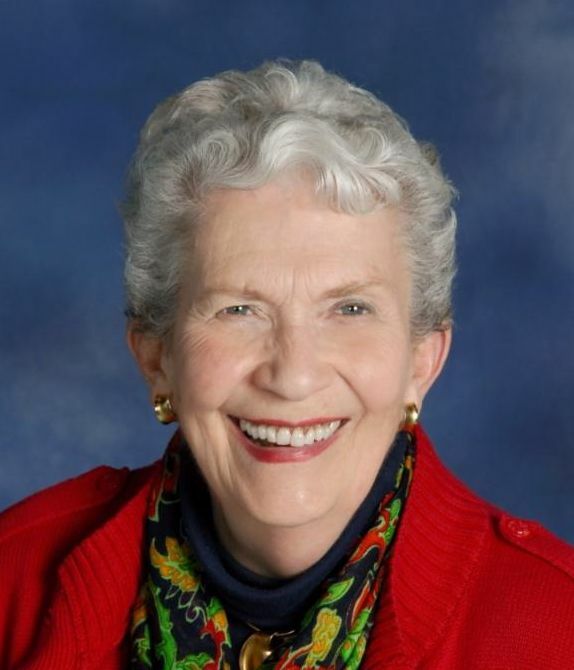 Nancy has been an active and faithful member of BCCUCC for many years and her last Sunday in worship before her move will be Sunday, April 28th. We hope you can join us that day as we say farewell to Nancy. 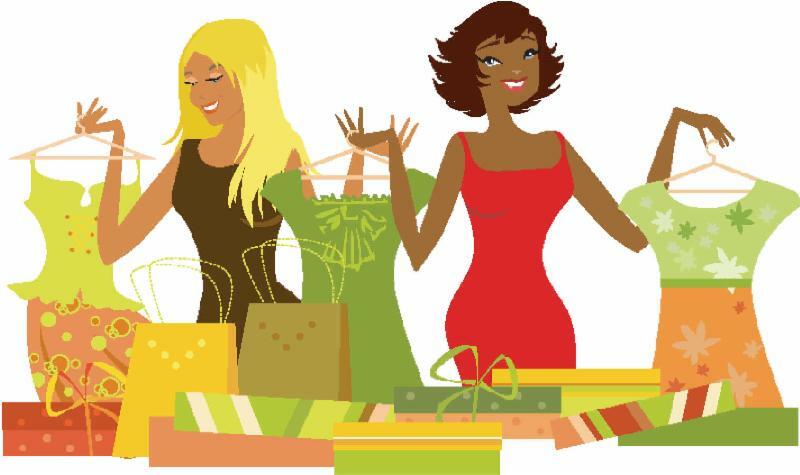 The first East Bay Women’s Clothing Swap will take place on Saturday, May 4th from 9:30-11:30 am in Fellowship Hall. $3-$5 entry, no one turned away. Clean out your closet and bring shoes, bags, and clothing that you no longer need to the swap, and bring home a new wardrobe! The event is open to the whole community, so invite your friends! Interested in volunteering? Email Melissalorusso22@gmail.com . Want to learn more about our church - and maybe become a member? Rev. Dale Azevedo invites you to join him on Sunday, May 5th for ‘ Conversations about our Church ’ from 11:30 am – 1 pm in Room 7. Whether you are new to our church community or have been coming for some time, you are very welcome to attend. The session will give you an opportunity to learn more about who we are and what we believe, and will give you the information needed to decide if you’d like to join our church at this time. Our next New Member Sunday will be May 12th. If you’d like to attend “Conversations” please RSVP to the church office at office@bccucc.org or 246-0111 by Mon, April 29th. Childcare will be provided if you let us know it’s needed when you RSVP. The Endowment Team is happy to announce this workshop, led by attorney Megan Sheehan on Sunday, May 5th from 11:15 am - 12:45 pm in Room 6. 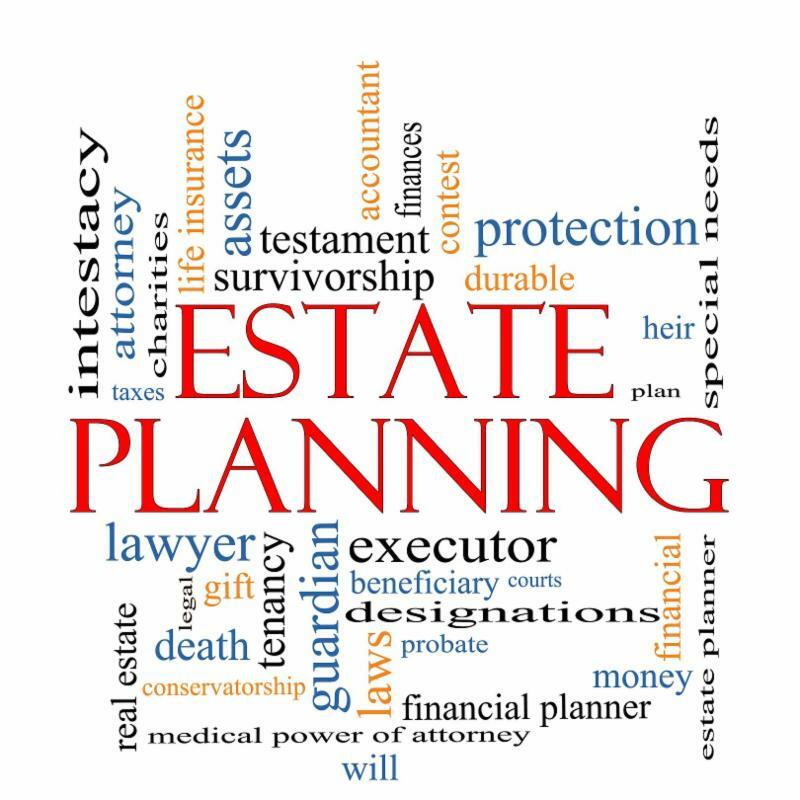 If you are new to the estate planning process and would like a basic overview of what to think about and what’s involved, this is the workshop for you. Megan will define estate planning, describe the tools used, and give you a basic understanding of the probate process and estate taxes. Some time will also be given to considerations for how estate planning connects to and can benefit your long-term giving plans. Come work with BCCUCC’s own Megan Sheehan and begin the process of Estate Planning! An RSVP to Kate Colby, kcolby@fullchannel.net , while not required is kindly appreciated. LFRI will be holding an Auction Fundraiser on Thurs, May 16th from 6 – 9 pm at the RI Country Club, 150 Nayatt Rd, Barrington. Hors d’oeuvres, buffet and cash bar, silent auction, and raffles. Tickets are $40 each from church member Phyllis Buckley at coffee hour, or contact her at pbuckley6@cox.net or 742-7320. 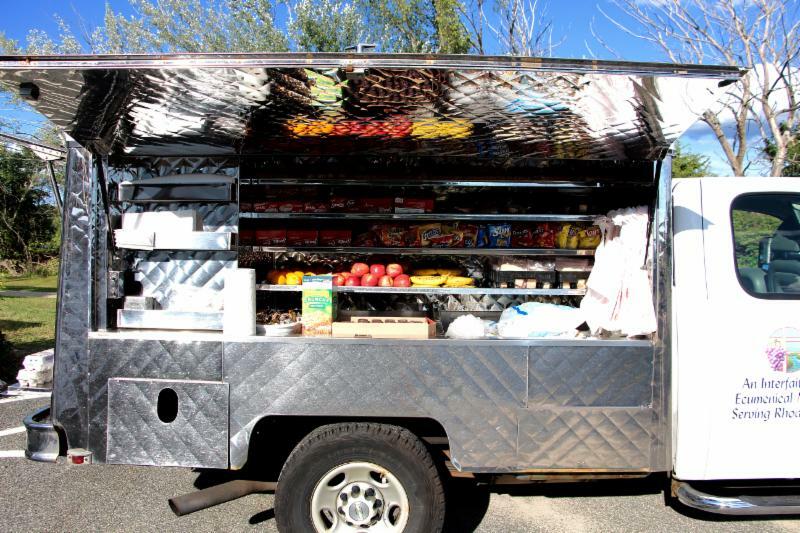 The LFRI truck makes about 20 runs a month and serves food, clothing, and basic necessities to the homeless and those in need of nourishment and basic necessities, at multiple sites throughout RI. Learn more at www.lfri.org . 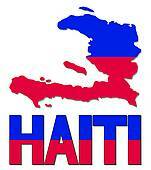 A festive 'Taste of Haiti' will be held on Saturday, May 18th at the North Farm Yacht Club in Bristol from 5 to 8 pm. The evening will feature Haitian food, wine and beer, slide show, vocalist Beck Bass with her steel pan, a 50/50 drawing, and hopefully a beautiful sunset over the bay. Tickets are $60 each or 2 for $100. Space is limited so only 75 tickets will be sold. If you cannot attend, donations are welcome and drawing tickets are now being sold ($1 for one, $5 for 6). The proceeds will go to the One Egg Haiti program that brings nourishing eggs to hundreds of children in schools and orphanages in Haiti. The event is sponsored by the RI Haiti Task Force. To make a reservation, donation, or for information, contact Trish Sylvester at trishsylvester@gmail.com or 401-447-6489. 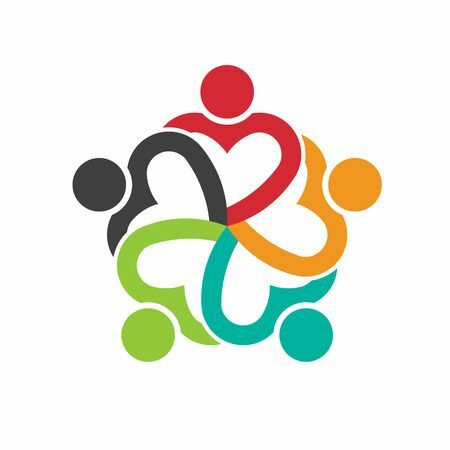 Information about all of the groups that meet regularly at BCCUCC can be found below under "Regular Happenings"
A Support Group for Young Adults (ages 18 – 30) with Asperger’s or Autism meets at our church on the 1st Wednesday of the month. Their next meeting will be Wednesday, May 1st, from 4 – 5 pm in Room 6. Anyone interested in joining should contact Nicco Palmisano at (401) 280-0462. 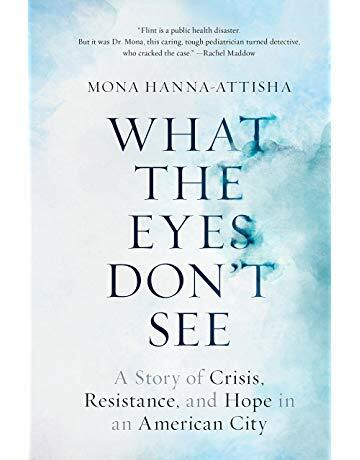 The group will meet in the library on Monday, April 22nd at 11 am. The group is open to anyone who has lost a loved one at any time, and is open to the community. For more info, contact the f acilitator, Betsy Brenner at jsbeeb@aol.com or 245-8031. Book Gro up next meets Tuesday, April 23rd at 11:30 am at the Coffee Depot, 501 Main St, Warren, to discuss the Indigo Girl by Natasha Boyd. 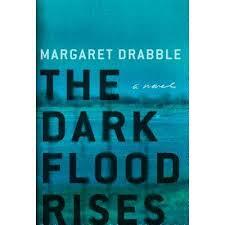 “ In 1739, spirited 16-year-old Eliza Lucas is left in charge of her father's three South Carolina plantations while he returns to Antigua to pursue political ambitions. 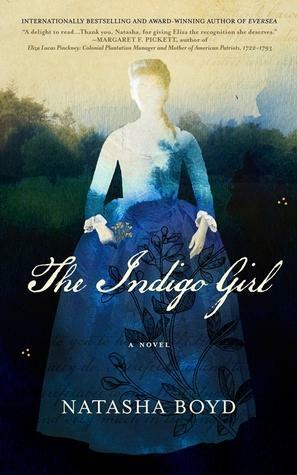 She is determined to find a cash crop and with the help of slaves and a neighbor develops a method for the profitable cultivation and processing of indigo, the rich blue plant-based dye that became a major component of the economy of colonial South Carolina." (Library Journal). ﻿For more information about the group, please contact Helen Schall at helenschall@hotmail.com or 245-4724. All are welcome! They happen Thursdays from 3 - 5 pm at The Coffee Depot, 501 Main Street, Warren (unless otherwise noted). On Thursdays during Lent (thru April 18th) the second hour from 4 - 5 pm will be a book/Bible Study 'Come to the Water' with Brendan. Details. Community Office Hours are for anyone in the church or community who would like to stop by and visit with Brendan in this more informal setting. All are welcome. 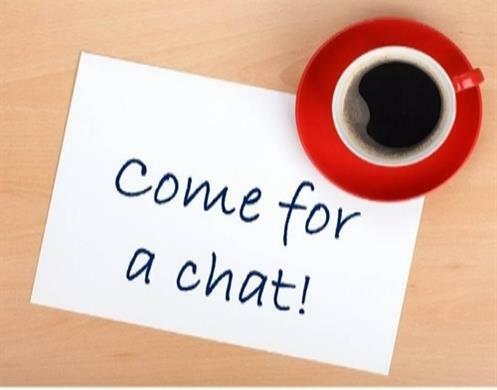 The group next meets on Tuesday, May 7th from 7-9 pm at the home of Marion Fodor, 12 Katie Drive, Warren. 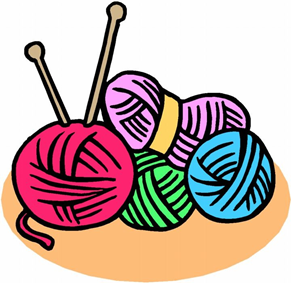 The group meets monthly, makes a variety of different items to be given away (prayer shawls, preemie hats, etc), and can provide patterns and help. All knitters/crocheters are welcome, especially new faces! Please RSVP to Marion to let her know if you'll be attending at smfodor@cox.net . To learn more about the group, c ontact Mary Lou Slicker at rislick@fullchannel.net. NAMI RI ( National Alliance on Mental Illness ) holds a monthly support group at our church for family members of people with mental illness. Open to anyone in the community the next meeting is Thursday, May 2nd from 6 – 7:30 pm in Room 6. For more info contact info@namirhodeisland.org or call (401) 331-3060. A year ago, Barrington resident and artist Susan Catherine Collyer, asked for people to share their faith experiences with her. From her interviews she has created an original theatrical piece called "Awakenings" in which multi-faiths, cultures and traditions come together in visual media, sensory sounds, poetry, music and dance. All are invited to "Awakenings" at Bay Spring Community Center, 179 Narragansett Ave, Barrington, on Thursday, April 25th at 7 pm, Friday April 26th at 7:30 pm or Saturday, April 27th at 7:30 pm. Tickets are $5 on 4/25, and $10 on 4/26 & 4/27. 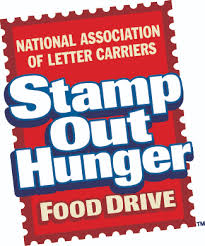 27th Annual "Stamp Out Hunger Food Drive"
On Saturday, May 11th, please place non-perishable, unexpired food in a bag by your mail box. The letter carriers will pick it up and deliver it to TapIn to stock their food pantry which serves hundreds of East Bay residents. Last year, this food drive collected 5,156 pounds of food through the generous help of the Barrington community. TAPIN depends on volunteers to unpack, sort and organize the food donations on May 11th. To volunteer, please contact them at info@tapin.org or (401) 247-1444 before Wednesday, May 1st. Providence Singers Concert "The Heart of the Singer"
The Providence Singers' next concerts are on Saturday, May 18th at 7:30 pm in Cranston, and Sunday, May 19th at 3 pm in Bristol. 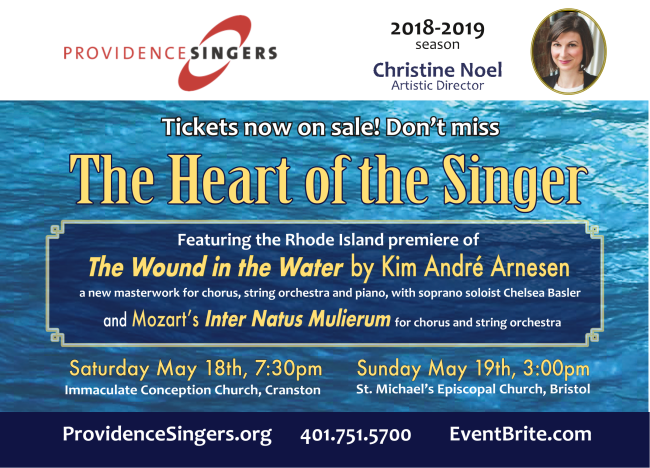 The concert will include the RI premiere of The Wound in the Water by Kim Andre Arnesen - a beautiful piece of music that the chorus has fallen in love with! More information about the concert, venues and ticket information is available at this link or from the Providence Singers website. 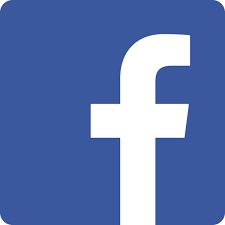 Hopefully you’ve already ‘Liked’ our church’s Facebook page and see our posts in your newsfeed – if not, you can find us at www.facebook.com/bccucc . The way Facebook works, for our page to keep showing up in your newsfeed and for it also to be seen by the wider community, you also need to ‘Like’ individual posts from the church that you see. So please help us keep getting our message out about who we are and what’s happening at BCCUCC by hitting that ‘Like’ button for the posts that you see and like. Thank you. If you miss church on Sunday or want to hear the sermon again, you can do so at the following link Sermon Archive. You can raise money for the church every time you shop at Amazon by going through AmazonSmile. Learn more at this link and choose 'Barrington Congregational Church' as your charitable organization. Every eligible purchase raises 0.5% of the purchase price for our church, and we receive a quarterly deposit from Amazon! Thanks to everyone who already does this. 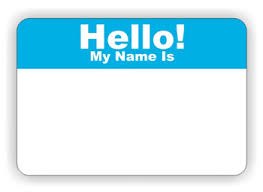 Wearing a nametag helps everyone get to know each other, and is also welcoming to newcomers. Please wear your nametag for worship and coffee hour on Sundays. If you need a nametag you can sign up for one in the vestry hallway or at the Welcome Table in Fellowship Hall or email the church office. Newly made nametags are placed in the specially labeled basket on the sideboard in the vestry hallway for you to pick up on a Sunday morning. Church Calendar is available anytime on-line. The church calendar is kept up to date and you can find it at http://bccucc.view-events.com If you have any meetings or activities planned, please send them to office@bccucc.org so that they can be added to the calendar. Also please notify the office or any errors or changes. Thank you. On Instagram at BarringtonUCC ﻿On Facebook at www.facebook.co/bccucc. Please 'Like' our page as well as 'Like' our individual posts so that our posts continue to be visible both to you and to the wider community. Thank you.